I’m ridiculously behind, and absolutely need to catch up, on award posts – so today will be another one. About a month ago (on the 10th of March, to be exact) I was nominated for the Premio Dardos award by Jenna from Julla. If you still don’t know who she is, go check out her blog now and show her some love! 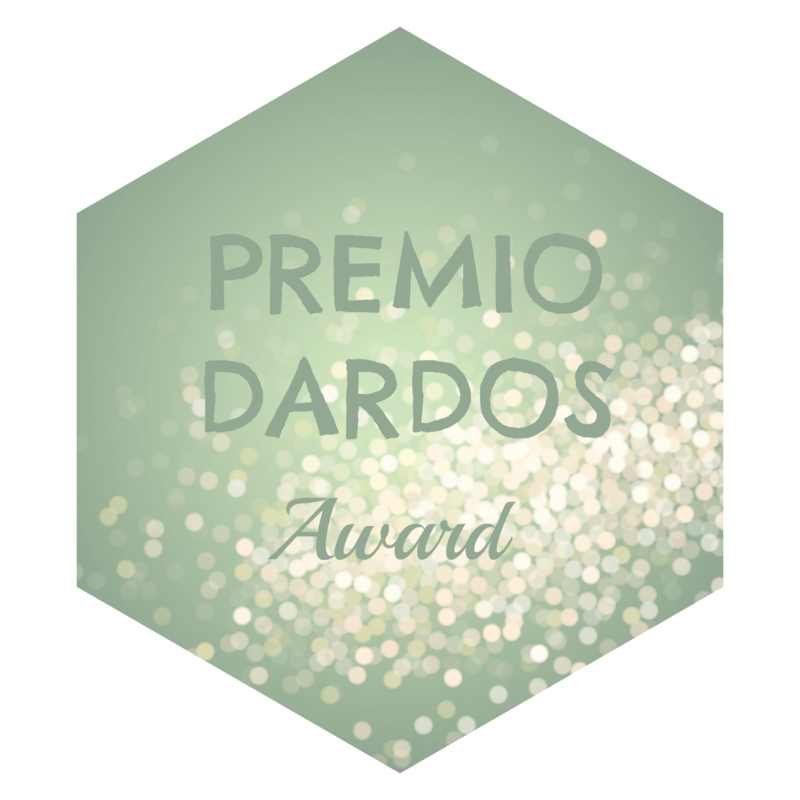 Premio Dardos, which apparently means ‘prize darts’ in Spanish and which I’d never heard of before, is awarded ‘in recognition of cultural, ethical, literary and personal values – transmitted in the form of creative and original writing’. Goes without saying that, despite feeling like I don’t quite deserve this, I am hugely honored to receive it. Thanks a million Jenna, for considering me when choosing your nominees! Go check these out – they are all amazing! Hi Christiana, thank you so much for the nomination. We feel very honored. And congratulations for you nomination, too. I am doing well. Thanks for asking :o) (I’m on my second of four days off, so how could things not be looking up :o) How are you? Hi Christiana, thank you for the nomination! How fun. I’m looking forward to finding great sites to share the love with. Enjoy your vacation! I too am on vacation and doing a fun road trip. Hello Rachelle 🙂 Welcome and thank you for taking the time to comment… Looking forward to some peace and quiet, like you wouldn’t believe – got a couple of books and series to catch up on 😉 A road trip sounds like great fun, though… Enjoy! !